Madison – David J. Gartner, age 83, of Madison, died at his home on Friday, February 1, 2019 surrounded by his family following a brief illness. He was born on August 12, 1935 in Sterling, IL, the son of Jack and Elizabeth (Lease) Gartner. He was a veteran of the U.S. Navy, serving 20 years in both Korea and Vietnam. 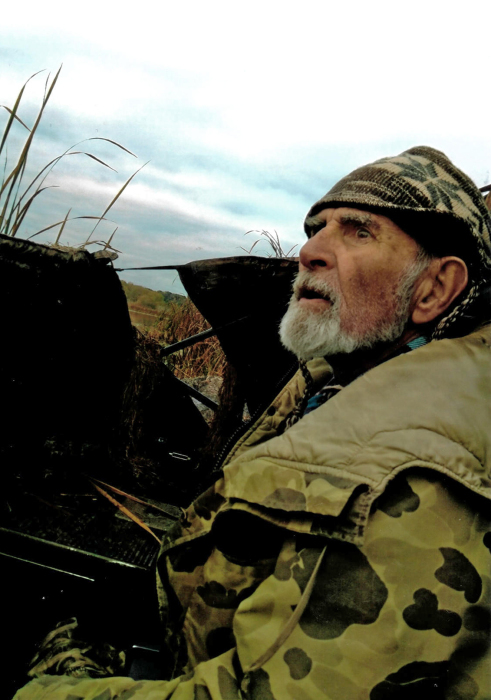 He was a dedicated member of Ducks Unlimited for over 32 years and acted as District Chairman. He was a member of the American Legion, #481, Fleet Reserve Association, life member of the NRA and was a hunter safty instructor. He was a passionate duck hunter. He also enjoyed fishing, collecting antiques. Best of all he was a black-belt in BS. He is survived by four children, Dan (Angie) Gartner of Madison, Mike Gartner of Madison, Tom (Kristi) Gartner of Randolph, and Mark Gartner of Madison; dear friend Nancy Thompson; one brother Pete (Nancy) Gartner of Princeton, IL; nine grandchildren, Nicole (Jon), Ashley (Nick), Kyle, Wes, Matthew (Malissa), Sierra (Robert), Samantha, Grace and Holly; four great-grandchildren, Max, Kam, Cooper, Wyatt, and fifth great-grandchild expected in 2019; four step-grandchildren, Trever (Molly), Tara (Mack), Luther (Savanah) and Cecilia; three step-great-grandchildren, Alex, Stella and Gavin; and special friend James Higgins and family. He was preceded in death by his wife Tsutae, his parents, brother William and two sisters, Helen and Mary. A Memorial Gathering will be held on Saturday, February 23, 2019 from 11:00 am until 1:00 pm at RYAN FUNERAL HOME, 2418 N. Sherman Ave., Madison. The family would like to thank Agrace HospiceCare.